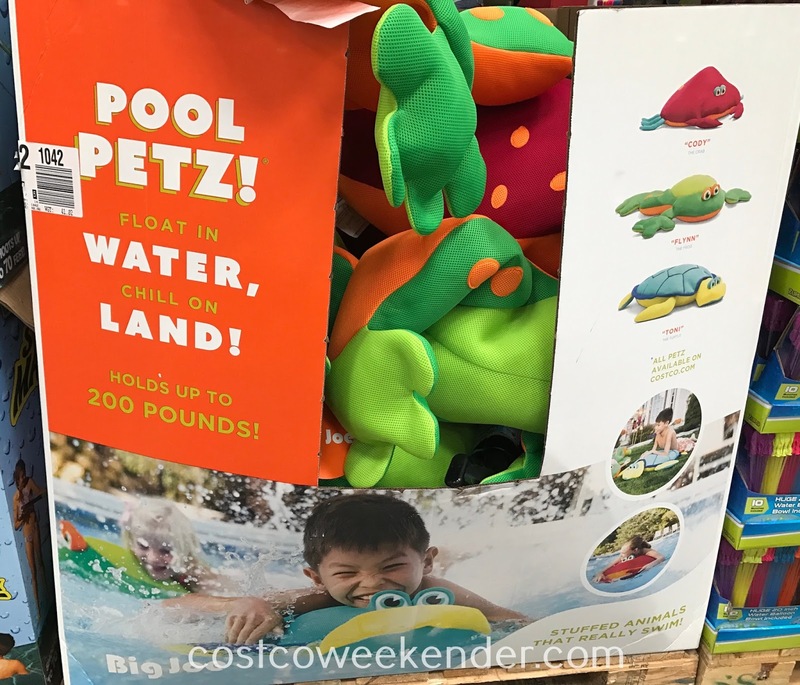 Summer is just around the corner and with it comes barbecues, picnics, and lots of fun in the water. If you or your family intend to spend some time in the pool, then you may want to have a companion like the Pool Petz Floating Pool Toy for your kids' enjoyment. 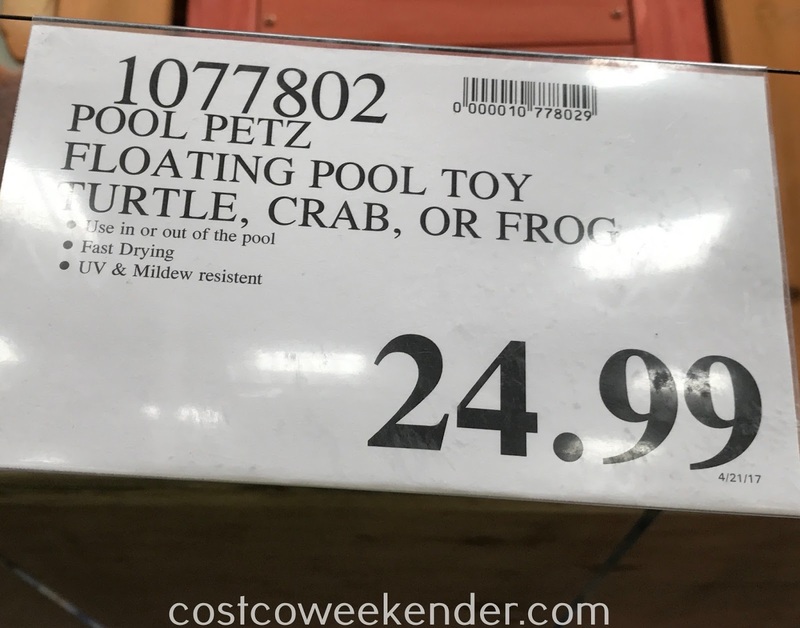 It's a pool toy in the form of an amphibious animal like a sea turtle, crab, or frog. 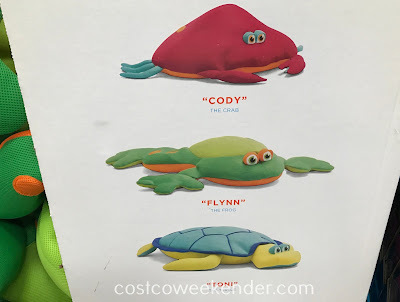 Not only are they cute and cuddly, but they almost act kind of like a flotation device. 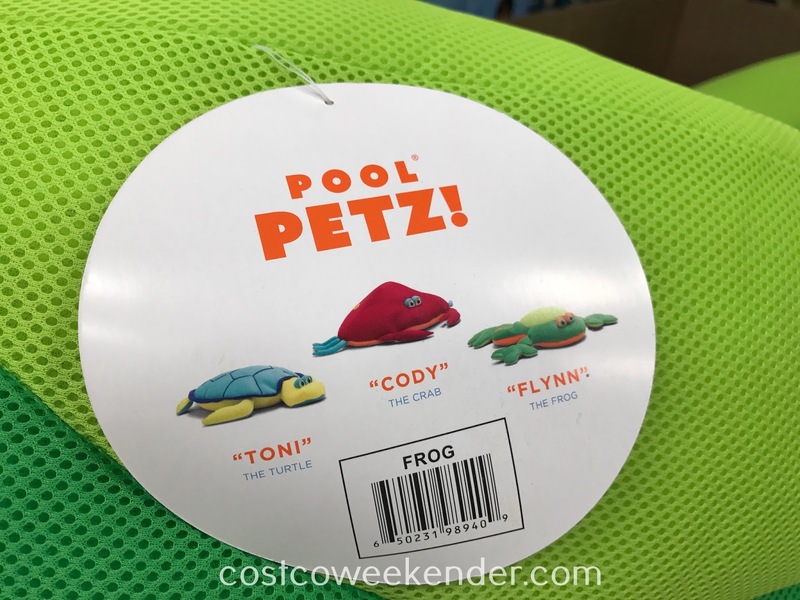 Your kids will love swimming and splashing around with Toni the Turtle, Cody the Crab, or Flynn the Frog. They're a great addition to hot afternoons in the pool. 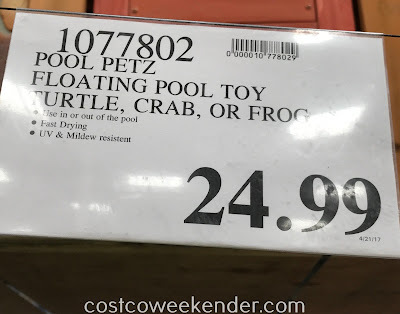 Pool Petz! Float in water, chill on land! Stuffed animals that really swim! Holds up to 200 pounds!